When you switch on any business channel on your television or read any news related to finance, the chances are that you will come across the word Central Bank. Half the experts are all praise for them and half warn against dire consequences due to the action of the Central Banks. Did the world always have these banks? Are these same as our other banks? Are they controlled by the government? What are their responsibilities? As Forex traders, our trading is greatly affected by the actions of the Central Banks around the world. Our trading performance will improve if we understand their actions and trade in sync with them, rather than bout against them. The central Banks around the world are grappling to control the monetary and economic situation in their respective Countries. The world is transfixed on the actions from the various large Central Banks led by the US Fed Reserve. With the word ‘Central Bank’ being tossed around with much enthusiasm, let’s start with their history. Central bank is the bank of the government and it is the bank for all other private and government owned banks in the country. 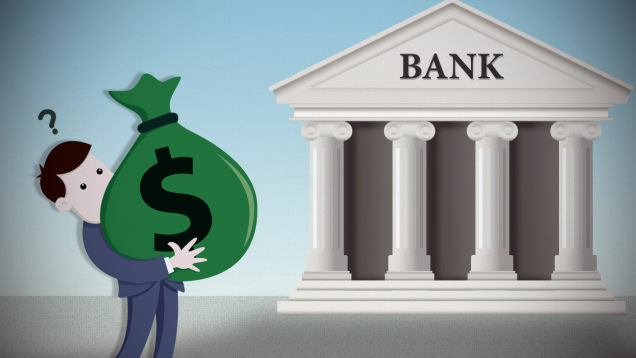 The banks are monitored and regulated by the Central Bank. The Banks go to the Central bank when they need to borrow money. The Central Bank lends money to them at a certain interest rate, called the discount rate. This is generally lower than the prevailing interest rates. At times when the Central bank wants to control credit in a system, it increases the discount rate, thereby discouraging the banks from borrowing money. The Banks also have to deposit a certain reserve amount from its total deposits. This money is kept as a reserve with the Central bank and the bank earns an interest on the amount it keeps. When the Central bank wishes to tighten the credit, they increase the reserve requirements, thereby reducing the availability of credit in the system. When they want to loosen the credit policy, they reduce the reserve requirements thereby increasing the money in the system. We shall go through the history from the first bank to the latest bank in the list. The first Central Bank was Riksbank founded in Sweden in 1668 with the help of Dutch businessmen. It is the oldest Central Bank in the world. The Bank of England was incorporated in 1694 as the then King William III, needed money to finance the ongoing war with France, but was not able to raise money from lenders as his government’s credibility was very low. The Bank of England was able to help raise the required amount from the lenders in just twelve days. The Central Bank of US came into existence many years later in 1913, it was formed by the US Congress via the Glass-Owen bill, under President Woodrow Wilson. The People’s Bank of China started much later in 1979. The European Central Bank is among the latest entrants into the list. It was founded on 1 June 1998. The Central Banks in its early days were mostly owned by Private bankers. These stakeholders worked towards their own benefits by manipulating the policy of the Banks from time to time. The banking system in the US was also under the control of the rich who had stakes in it. Powerful nations like the UK used the Bank of England for their colonial activities. From 1870, the world started following the Gold standard, wherein the central banks monitored the printing of currency only in relevance to their Gold reserves. The job of the Central Bank to control inflation was not that hard. During World War I and II, most Governments realized that they needed more money to fund wars, and following Gold standard it was not possible to print money. Hence, they abandoned Gold Standard and introduced money printing in 1914. This led to very high inflation and The Great Depression of 1929. The Gold standard was again adapted after the WWI, but the US President Franklin D Roosevelt brought about its end in 1933 when he declared private ownership of Gold to be illegal except jewelry. Other foreign governments were allowed to sell to the US treasury at a fixed price of $35/troy ounce. This was officially ended in 1971 which brought an end to the Gold standard. The Central Bank is the primary bank of the government, but without any direct government intervention. The Central Bank is responsible for the monetary policy of the country. The bank models its monetary policy to support the fiscal policy of the government. Price stability is an important factor of monetary policy. The bank aims to maintain stability by using various tools like interest rates, open market transactions etc. If inflation rises due to easy credit availability in a system, the bank addresses the situation by increasing the interest rates (Learn more about Interest Rates Decisions). High-interest rates make borrowing money unattractive and economically unviable. It also provides the individual depositors a risk-free option to earn interest on their deposits held with the bank. Another method used by the Central Banks to control the supply of money is by using open market transactions. If there is a credit squeeze or shortage in supply of money, it buys government bonds, thereby increasing the supply of money. If credit is in excess, it sells government bonds from its account thereby decreasing the money supply in the market. A healthy monetary system encourages business activities and gives confidence to the investors. Jobs are created and employment is available to the society. A curb on price excesses is kept on all critical items. The Central Bank prints the money in circulation, it also has the mandate to maintain a stable foreign exchange rate and protect it from speculators. Though foreign exchange rates are market determined, due to excessive speculation or due to vested interests of a few people, there can be an attempt to destabilize the exchange rate, during such times, the Central Bank intervenes to stabilize the markets. People’s Bank of China– China is the second largest economy of the world. Its actions are also very closely watched to gauge the economic health of the nation. After all, China is considered to be the growth driver of the world. Rest of the Central banks are also important, but their effect on other economies is limited to the nations which are dependent on them for their trade. There are many experts who criticize the Central banks for their handling of economic crisis. Many are of the opinion that the Housing bubble and subsequent crisis was due to the ultra-loose monetary policy of the US Fed. It led to a scare all over the world and sent many countries into recession. Following the financial crisis, the US Fed has kept interest rates at near zero which is much below its long-term average. Following on the footsteps of the US Fed, the ECB, the Bank of Japan, People’s Bank of China, all are resorting to various degrees of monetary easing measures. If the Central Banks are not able to wind up their loose monetary policy in a phased manner, it is likely to push the world into another crisis which might be bigger and more serious than the earlier one. The Central Banks all over the world are independent bodies, they are expected to work for the health of the economy by keeping the appropriate monetary policy. The respect of the Central Banks is at skate all over the world, which has given rise to parallel currencies like the Bitcoin, which is not governed by any Central agency and is a market denominated currency. If the Central Banks are able to withdraw stimulus successfully, its credibility will increase, else a question mark on their policies is sure to be discussed during the next financial crisis, whenever it happens.